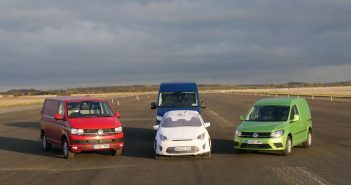 Volkswagen Commercial Vehicles, which in June became the first van manufacturer to fit autonomous emergency braking (AEB) systems as standard to all its vans, has teamed up with Driving for Better Business to support a series of events designed to demonstrate the benefits of crash avoidance technology to fleets. Driving is the most dangerous activity most employees ever undertake – statistically more than coal mining! There are hundreds of thousands of injuries on the roads every year as well as millions of collisions that result in expensive damage to vehicles and property, and prevent businesses functioning effectively. Advanced Driver Assistance Systems (ADAS) are proven to reduce collisions and costs, yet take up of these systems – on cars as well as commercial vehicles – in the UK is poor. One barrier is a lack of customer knowledge about what systems are available, how they work, as well as the benefits ADAS can bring to a fleet. Driving for Better Business is a long-term campaign which works in association with Highways England and RoadSafe to raise awareness of the importance of work-related road safety in the business community and public sector by using advocates drawn from these communities to promote the business benefits of managing it effectively. Head of Marketing at Volkswagen Commercial Vehicles, Sarah Cox, said: ‘When we took the decision earlier this year to give our customers safety as standard by fitting AEB to all our vans, we knew it was the right thing to do: it would keep drivers safe, vehicles on the road and reduce costs. The first two events were fully subscribed and took place last week, with delegates not only learning about the variety of systems available and experiencing ADAS in action, but also understanding the business case for these technologies and their impact on repair costs. A further two will be held on 20 and 21 March 2018 at Thatcham Research’s Upper Heyford Proving Ground in Oxfordshire. For details and to reserve your place, please visit http://www.drivingforbetterbusiness.com/stopthecrash. Earlier this year, Volkswagen became the first commercial vehicle brand to fit all its vans with AEB (Front Assist with City Emergency Braking), meaning all customers buying a new Caddy, Transporter or Crafter are guaranteed safety as standard. According to Thatcham, AEB systems are ‘probably the most significant development in vehicle safety since the seat belt’ and have the potential to save more than 1000 lives and 120,000 casualties over the next ten years. 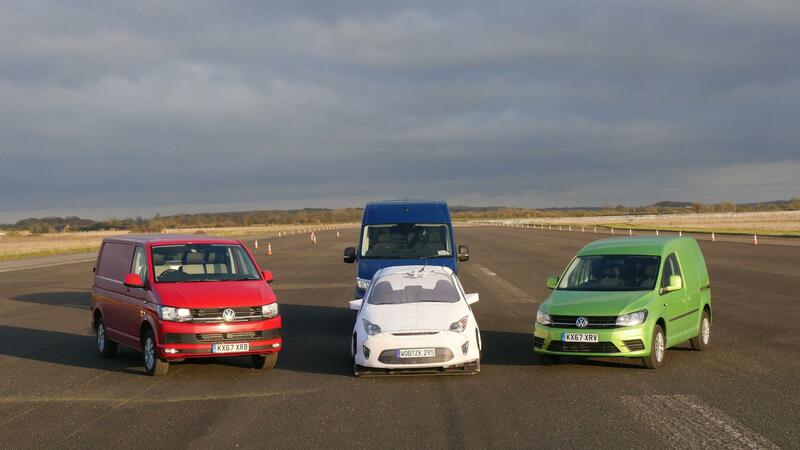 Peter Shaw, Chief Executive at Thatcham Research, said: ‘Volkswagen is a trailblazer and should be applauded for being the first manufacturer to fit AEB as standard on all its vans in the UK. The truth is that we are seeing a year on year rise in deaths and serious injuries involving vans which this technology can help to avoid.’ Data released last week by the Department for Transport (DfT) shows the number of people killed on UK roads in 2016 (1,792) was the highest since 2011. For more information on Volkswagen’s award-winning range of products and services, visit your local Volkswagen Van Centre or www.volkswagen-vans.co.uk. No items matching the keyword phrase "volkswagen" were found. This could be due to the keyword phrase used, or could mean your server is unable to communicate with Ebays RSS2 Server.